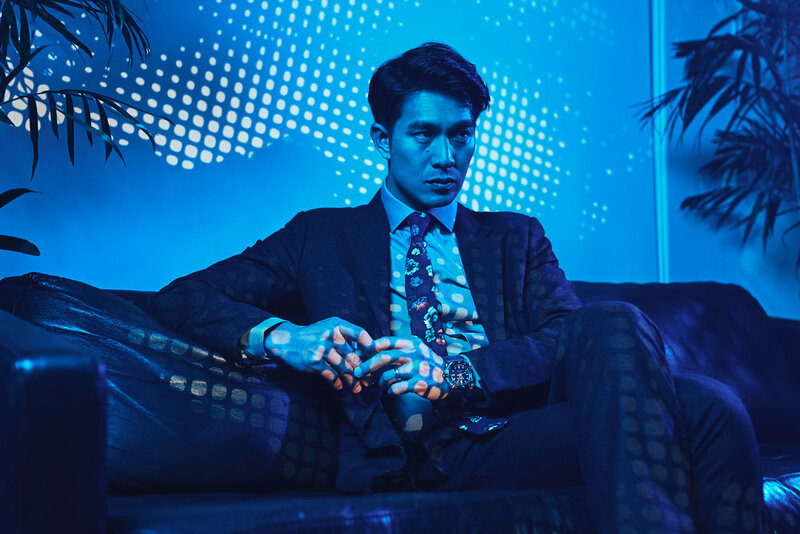 [fade]Trying to decipher what Pierre Png will do next has always been a sucker’s bet. 20 years in the entertainment industry, the actor of Peranakan descent has starred in English and Mandarin dramas between Singapore’s Channel 5 and Channel 8. Over the years, Pierre has won a 2012 Star Award prize for being among the Top 10 Most Popular Male Artists in Singapore. Additionally, his lead role in the thriller drama series Zero Calling (2014)—he played a man who is forced into doing horrible deeds by a mysterious caller—got him the Best Actor award at the 2014 Asian Television Awards. In 2017, Pierre surprised his fans with an exciting announcement of him joining the cast of the Warner Bros. Crazy Rich Asians (2018). Based on Kevin Kwan’s 2013 best-selling satirical novel of the same name, Pierre plays Michael Teo, the husband of Astrid Leong (Gemma Chan) who feels like an outsider as he is not accustomed to being part of upper-class Asian society. His latest role marks his Hollywood feature film debut. Are there any particular actor or actress you’re looking forward to work in Hollywood? Too many to mention! Perhaps Edward Norton and Natalie Portman! What was it about the entertainment industry that attracted you to be part of it in the first place? Has the beauty faded or changed since then? Getting into showbiz was something that happened by fluke for me. A bunch of mates in the Army dared me to audition for a part in a local movie. After that, I took part in a talent search by the nation's television station and won a two-year contract with them! It's been 20 years ever since. For me, the beauty of the industry was a real eye-opener and over the years, it has become even more interesting. I love the craft and if you love what you do, the beauty of it never fades. Your journey in the industry for the past two decades has not been easy. What was the biggest lesson you’d taken from it thus far? In Crazy Rich Asians, you play Michael Teo who finds it hard to keep up with the lifestyle his rich socialite wife is used to. Can you relate to that kind of pressure? Sort of. My wife is quite a social butterfly. She is well loved by many and she gets invited to a lot of events. The pressure I encounter is not that I need to match up, like Michael Teo. It's having to say ‘yes’ to these invites because sometimes you just want to do your own stuff, but you don’t want to offend anyone. What is your take on the controversial topic regarding the lack of authenticity in the movie? I think everyone's entitled to their opinion. All casting for any movie has always been based on who's best for the roles available. I feel you don't need to be a serial killer to play a role of a serial killer. How does it feel to be part of the second all-Asian cast in Hollywood history? What does the debut mean to your career? It’s come at the right point where diversity and inclusion are such hot topics in the film industry, and I feel blessed to be part of this movement! I hope this next big step will encourage more film makers to make films to feature and include more minorities. As for my career, I hope that my involvement in Crazy Rich Asians will present more opportunities for myself and the many great talents in Singapore to grow on the international stage. What is it about yourself today that you would like your fans to know about? That I am truly nothing if it weren't for their words of encouragement and support through these years. I love them all. Lastly, how would you perceive #WatchBeyond? ‘Beyond’ to me is about the uncertainty, the unknown in the horizon. A lot of people stretch themselves beyond their limits with their eyes closed. I, myself become very anxious when I deal with uncertainties, but I make sure I do my homework beforehand and keep moving forward. Not everything works out in the end, but if you do not go beyond your comfort zone, you'll never know what's waiting for you beyond that closed door.